The property is heated by 2 night stores, 2 fan heaters and an electric fire. 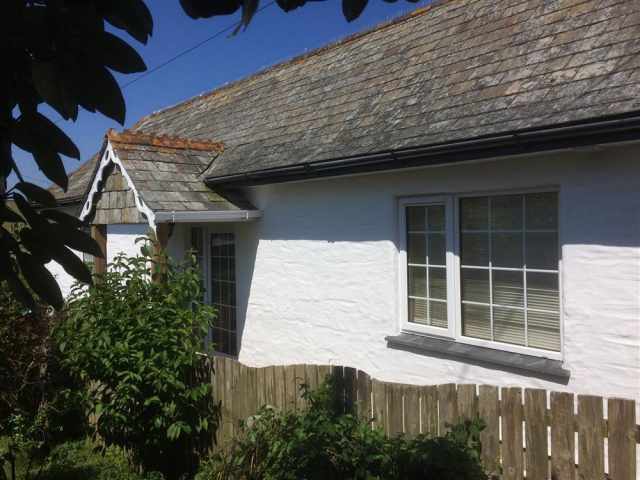 A charming and cosy semi-detached cottage just for two, Clematis Cottage is located next to the green in the pretty hamlet of Trenale which is close to Tintagel and the dramatic clifftop walks and sandy beaches of the North Cornish coast. Set to one side of a quiet country lane, the cottage is entered from a gated path shared with one other property. Tintagel is half a mile away with an array of independent shops, restaurants, pubs and of course the medieval fortification of Tintagel Castle linked with the legend of King Arthur. 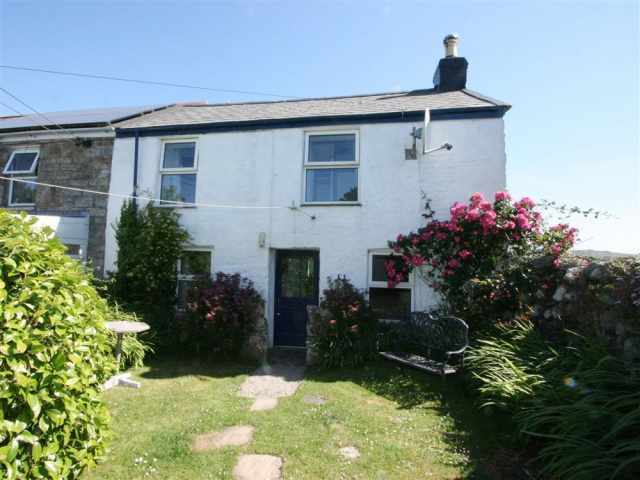 The beaches at Trebarwith Strand and Bossiney Cove and the attractive fishing village of Boscastle are 2.5 miles respectively. The front door opens into the narrow kitchen with original beams and slate floor. One step leads up to a traditionally furnished sitting/dining room with beamed ceiling, comfortable easy seating and pleasant view over the secluded lawn garden through the quirky window which has been cleverly installed in the original fireplace. Stairs wind up to the cosy twin bedroom with comfortable pine beds. One step leads up into the en-suite bathroom W.C. with hand basin and electric shower over a half size bath. At one end of thefront patio is thelaundry room with a side gate leading to the lovely enclosed garden which has a useful outside W.C., shaded lawn and a little lost garden to be discovered. From here, the panoramic views are fantastic with dramatic sunsets; even better when accompanied by a bottle of wine. It is possible to unload the car outside the gate with unrestricted parking on the lane.